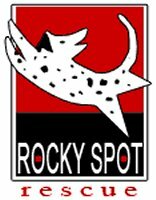 These dogs are not part of Rockyspot Rescue but are listed as a courtesy to help them find homes. Please contact the person listed with the pet's bio for more information. 3. We need a good quality picture (2 or 3 is better), and a short blurb, something catchy is better.